Visit Singlewire Software at booth 2187 during the Global Security Exchange in Las Vegas, September 23-27. 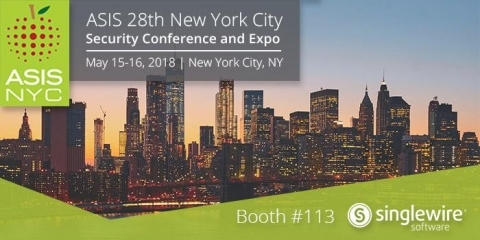 Visit Singlewire Software at booth 113 during ASIS NYC. 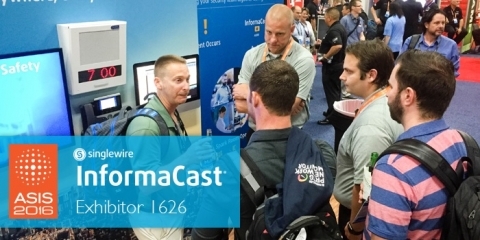 May 16-17 for the latest emergency notification security solutions. 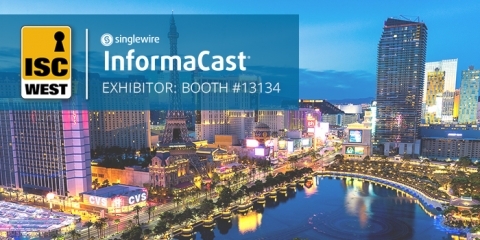 Visit Singlewire Software at booth 13134 during ISC West in Las Vegas. 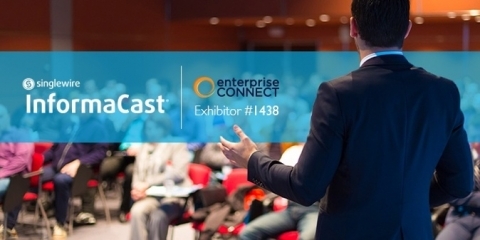 Singlewire Software will be at Enterprise Connect, March 12–15, 2018 in Orlando at booth 1100. Find Singlewire Software at booth 4572 during ASIS 2017 in Dallas, Sept. 25-28. 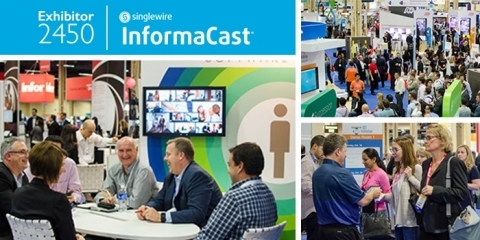 Visit Singlewire Software at booth 105 during ASIS NYC, June 7–8, to learn about InformaCast and emergency notification. 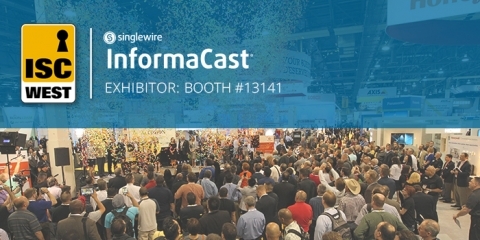 Singlewire Software will be at booth 13141 during ISC West, April 5-7, 2017 in Las Vegas, showcasing our latest emergency notification solution, InformaCast Fusion. 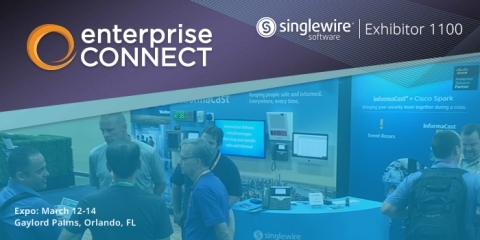 Singlewire Software will attend Enterprise Connect Orlando 2017 , March 27–29. See how InformaCast can help HR professionals support employee well-being. We demonstrate the latest tools that help protect employees, including: location-based notifications from InformaCast Mobile, instant conference call feature for crisis management and strategies for clear communication during emergencies. 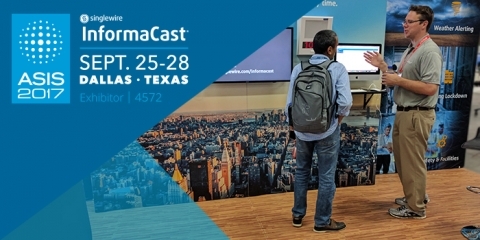 Singlewire will be demonstrating the latest features of our emergency notification platform, including Location-based notifications for InformaCast Mobile, the instant conference call feature for crisis management and the latest enhancements to our paging gateway.